What does it mean to pursue knowing God in everyday life? As you learn and follow God’s perfect plans for your friendships, your family and your faith, you will discover the joy of growing in His wisdom and finding the best desires of your heart fulfilled in so doing! 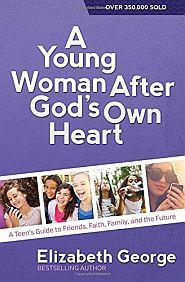 This young woman’s version of Elizabeth George’s bestselling book A Woman After God’s Own Heart shares the intentions and blessings of God’s heart with teen girls. On this journey they discover His priorities for their lives-including prayer, submission, faithfulness, and joy-and how to embrace those priorities in daily life. 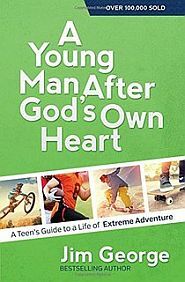 Elizabeth’s mentor style, the “Heart Response” messages of reflection, and the age-oriented themes make this an excellent book for groups or for personal study. And best of all, girls will discover that God is a faithful, caring, and loving presence during this exciting and sometimes difficult time in their lives. Elizabeth George is an author and speaker dedicated to helping people live a life after God’s own heart. For over 30 years, her teaching and steadfast example has helped countless men and women, young and old, simplify life by focusing on God’s priorities as outlined in His Word. 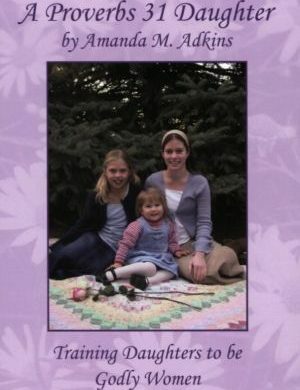 Women around the world are drawn to Elizabeth’s approach of daily starting with the Bible to handle life’s challenges. Her ability to weave biblical truth into everyday issues has led readers to make over 15 of her books bestsellers. 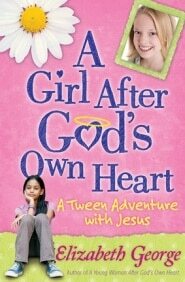 Elizabeth’s distinctive work, A Woman After God’s Own Heart, has sold over 1 million copies. Likewise, her delightful book, A Girl After God’s Own Heart, remains a treasured gift for moms and grandmothers and made the CBA Bestseller List for fourteen consecutive months. Elizabeth also encourages women through her radio broadcast, “A Minute for Busy Women.” It’s featured on Christian radio stations across America and at www.OnePlace.com. She is also a regular keynote speaker at women’s conferences and retreats. Elizabeth and Jim love spending time with their two married daughters and eight grandchildren.